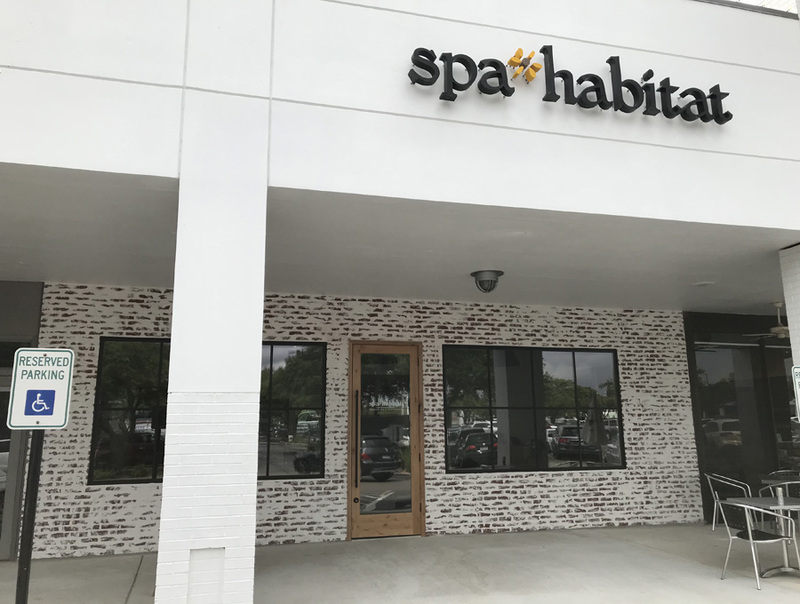 Dallas, Texas, June 2018 – Spa Habitat is pleased to announce the opening of its fifth spa location at Preston Royal Village in Dallas, Texas. 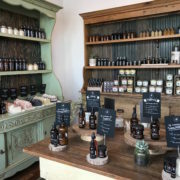 The new spa, featuring a vintage farmhouse aesthetic, seven spa treatment rooms, three foot ritual stations, and a one-of-a-kind Remedy Bar filled with organic skin care and bath and body products, is located at the Northwest corner of Preston Road and Royal Lane, next to Neuhaus Café. 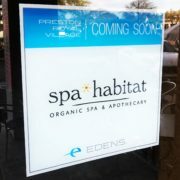 “We at Spa Habitat are excited to partner with EDENS to bring our organic spa concept to the Preston Hollow area, and to bring our unique Farm to Spa Experience to entirely new set of customers within this community,” said Greg Bohn, CEO of Spa Habitat. Today’s consumers are becoming increasingly aware and concerned about the purity and quality of the ingredients that go in and on their bodies, and they are seeking natural, organic and holistic foods, beverages and beauty products. Spa Habitat provides guests with a healthy, organic and green way to relax, beautify, and improve their lives through luxurious and relaxing spa services and products that are good for the skin, the body, and the environment. Spa Habitat is an organic spa and apothecary concept providing a unique Farm to Spa® experience, offering massages, beneficial organic facials, luxurious body wraps and scrubs, and safe and efficient hair removal using only natural, organic and non-toxic ingredients. Recognized by Organic Spa Magazine, USA Today, D Magazine and many others for organic practices and services, Spa Habitat has locations at West Village in Uptown Dallas, The Shops at Legacy in Plano, Historic Downtown Plano, and Southlake, along with its newest location at Preston Royal in Dallas. Spa Habitat Preston Royal - New Dallas Spa Coming Soon!